Ever since our livechat with a mortician, a million additional morbid questions have sprouted in my mind. So I went to satisfy my itch the best way I know how: television. This weekend, I took my tub of peanut butter ice cream and binge-watched Six Feet Under. For a show about a morticians, Six Feet Under is far less gruesome than one might expect. (Thanks Nip/Tuck and The Knick, for fortifying me against TV blood.) And once you get away from the fact that the Fisher family runs a funeral home, it's really just an utterly gripping and darkly funny family drama. 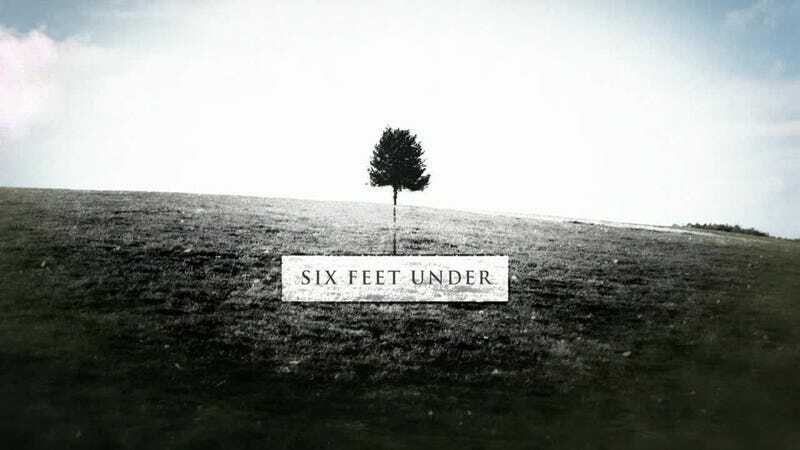 You can stream all five seasons Six Feet Under as part of Amazon Prime, but the DVD box set is also quite a handsome memento mori.